SPLAST, which is based in Jedlicze, Poland, has increased its injection moulding production capacity by acquiring three new system solutions from ENGEL. The automobile component and technical part manufacturer is among the first to use iQ weight control, ENGEL’s new software for online process control. 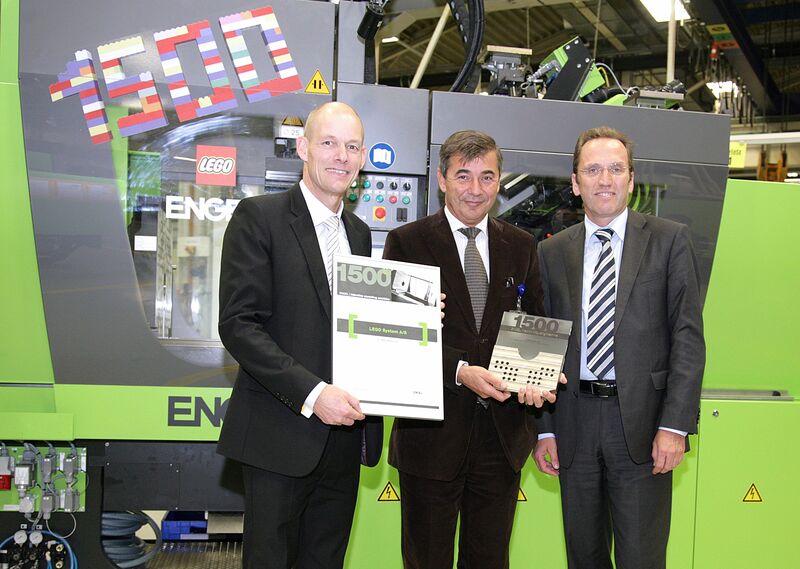 ENGEL supplied SPLAST in southeast Poland with a total of three injection moulding systems. They included a large-scale ENGEL duo 5550/900, an ENGEL victory 2050H/200V/80L/400 combi for three-component injection moulding, and an ENGEL e victory 440/120 injection moulding machine equipped with iQ weight control. SPLAST is a complete injection moulding service provider, including product design, mould manufacturing, process development, serial production and assembling. Its customers include reputable international corporations and OEMs operating in the automobile, white good, household item, and electronic industries, and the main materials to be processed are technical plastics like glass fibre reinforced polyamide and POM. The software, which was developed by ENGEL for injection moulding machines with electric injection units, analyses the pressure profile at screw positions in real time during the injection process and compares the measured values with a reference cycle online. Based on this, the system computes a new set of process parameters which allow changes in the melt volume and material viscosity – the two most important factors when it comes to the quality of moulded parts – to be detected immediately. SPLAST and ENGEL have worked together since 2005. Marek Sanocki, also an owner and the technical managing director at SPLAST, says: “We have dealt with the same contact at ENGEL since the beginning. ENGEL is not just a supplier to us, it is also an important development partner, and we particularly value its high levels of system solution competence, which encompass its injection moulding machines, as well as process technology, mould development, and automation”. SPLAST has 17 ENGEL machines in operation, and apart from one, they were all supplied with automation systems. This includes the three new injection moulding machines, which were each equipped with an integrated ENGEL viper robot. Piotr Nachilo says, “It is especially easy to maximise efficiency potential when the injection moulding machine, process technology, and automation system are perfectly in tune with each other.” Energy efficiency is becoming more and more important to SPLAST, and the plastics processor only buys hydraulic injection moulding machines with an energy saving option now. This is primarily because it doesn’t just lower energy costs, but also oil cooling expenses. While traditionally only part of the electrical energy becomes machine movements and the rest is converted into heat which increases the hydraulic oil temperature, this thermal load does not occur when the ecodrive system is employed. Piotr Nachilo says, “The temperature of an injection moulding machine’s oil indicates how energy efficient it is.” SPLAST took this aspect into consideration when planning its new production area and was able to keep the amount invested in cooling systems low thanks to the ecodrive system.